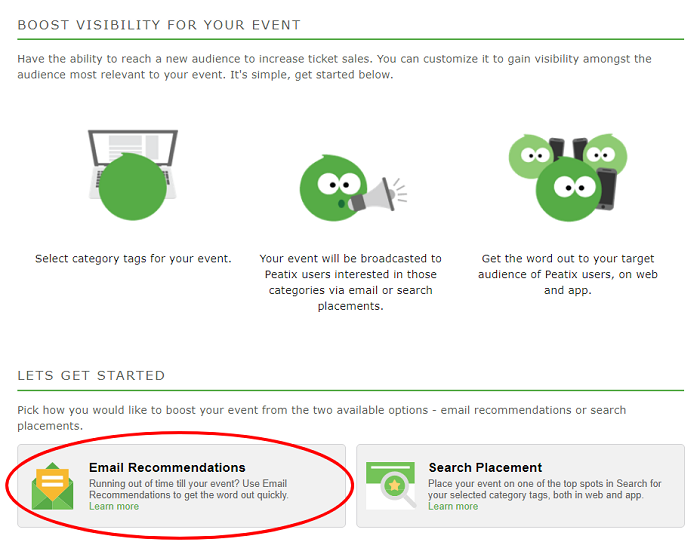 News Flash: Looking to scale the game on that ladder of event listings? 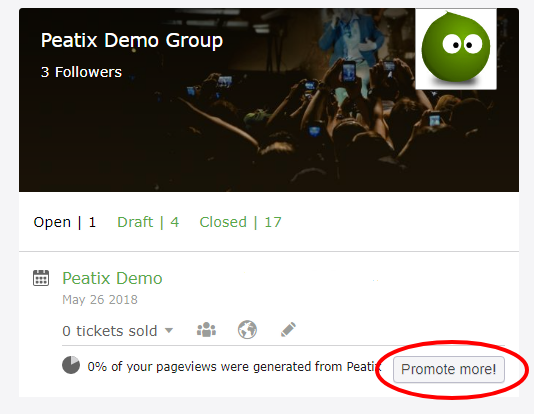 Whether your objective is to expand reach, drive more traffic or increase conversions, you can now customise your Peatix Boost campaign with our newly-introduced self-serve promotion feature that enables you to set up 1) Email Recommendation or 2) Search Placement campaigns, at your convenience, to meet those objectives. 3b. 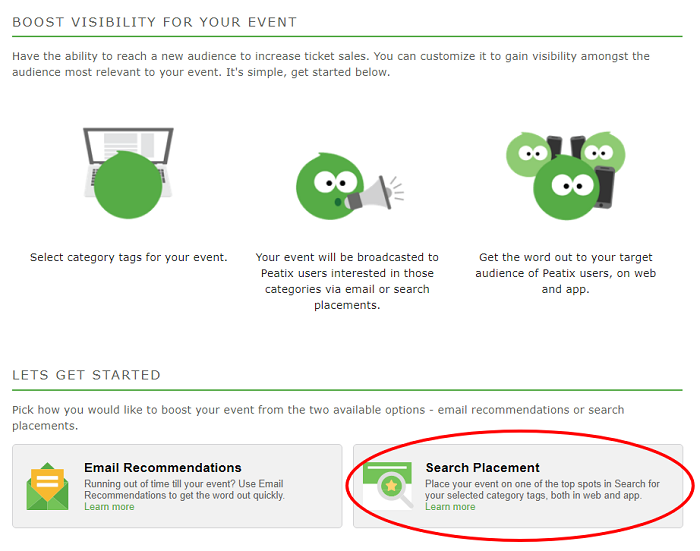 For Search Placements, set your Boost duration and select the categories you would like your event to appear at the top for. 4. Enter your Credit Card details for payment and upon completion of order, you will receive an order confirmation email. Your order will also be displayed on the Promote page under “CAMPAIGN HISTORY”. 5. 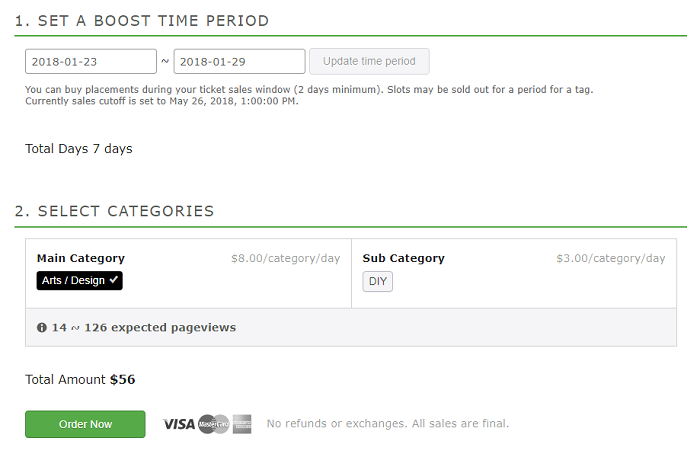 You can see the resulting page views in the Overview page in your organizers account. That’s it! 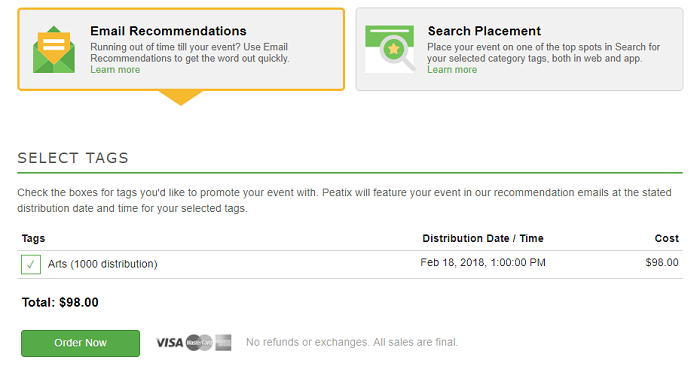 You’re all set to get word of your event out in the fastest way possible. 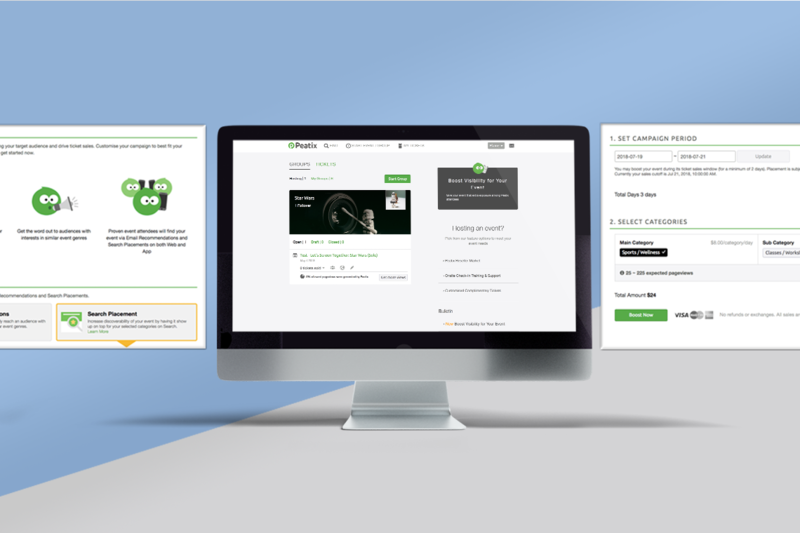 Try setting up your own Boost campaign now but of course, if you still prefer to get some help along the way or learn about our other options to help increase visibility of your events to sell more tickets, we’re always more than happy to walk you through. Next Post Hello… From the other side.